How adorable is this collection called Miss Chamilia! Perfect for your little girl or a little girl you know! Beads in several designs and styles for the little princess! Information from Chamilia about the Miss Chamilia collection ~ Looking for jewelry for kids? Look no further than the Miss Chamilia Collection – a collection of jewelry designed exclusively for young girls and aspiring fashionistas. Miss Chamilias around the world know that they are special and unique. More importantly, they want to show their differences to the world and celebrate their individuality. With this collection of jewelry for girls, girls (over the age of six) can have fun choosing, designing, and making their own bracelets and necklaces in any style they wish. 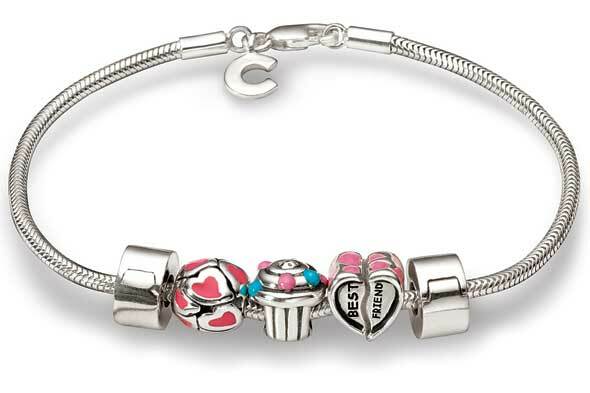 From playful themes to colorful glittering beads, the collection gives the choice of over two hundred beads that fit specifically on Miss Chamilia sterling silver bracelets and necklaces. All elements in this line for jewelry for kids are made with young girls in mind, having meaning to girls’ lives, and are inspired by the world around them. Chamilia has created a collection of cute and fashionable jewelry for kids, for those who are looking for a slightly grown-up but with a fresh look! 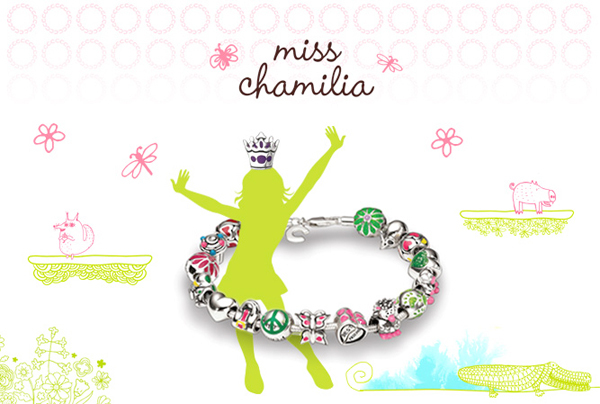 The Miss Chamilia collection – for girls as stylish as the jewelry they wear. See our large selection of Miss Chamilia here. Note: The beads in this collection are designed to only fit Miss Chamilia bracelets and necklaces. This entry was posted in Jewelry, Jewelry Brands and tagged beads, chamilia, girls jewelry, kids jewelry, miss chamilia. Bookmark the permalink.